My name is a very common flower, Rose. I’m twenty two and a Sagittarius through and through. I live in a southern state in the United States but go many places in my books. I am a new mother as of January 8th 2019! 💕 Best thing that has every happened to me. I am a book hoarder, book lover, addicted to tea, and rewatch tons of favorite shows when not reading! 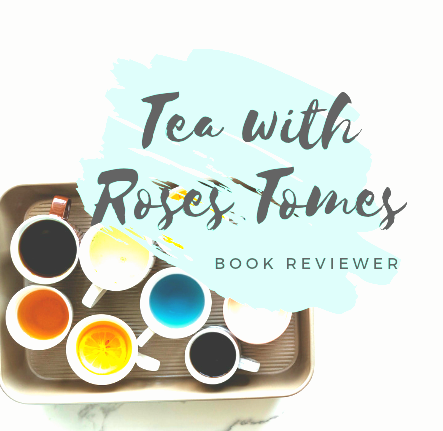 I created this blog to share my experiences and thoughts when I read a book, plus I love talking about books so it’s an excuse really to ramble about that. I will also be sharing my parenting experience too! TV Shows: Buffy The Vampire Slayer. Angel. Shameless. Gilmore Girls. Teen Wolf. Charmed. Bones. Criminal Minds. F.R.I.E.N.D.S. Hobbies: Writing. Sketching and doing art when the mood strikes. Writing my penpals. Works: Stay-at-home mommy & book blogger. Villain or Hero: Villian always! Especially the insane ones, I love to see how they tick and the things they say I just adore it! Don’t ask me to pick a literary or tv show villain because I have a way to many to chose. Thanks for following my blog. Thrilled to see you’re a Buffy fan. That’s fantastic. I do so hope you’ll enjoy my blog. Welcome aboard.